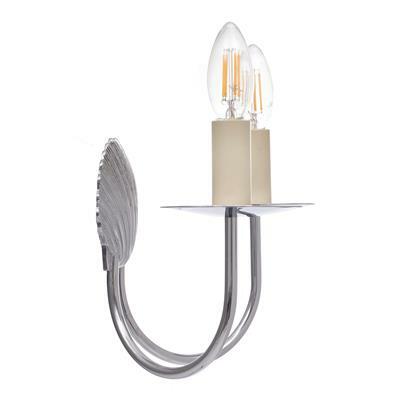 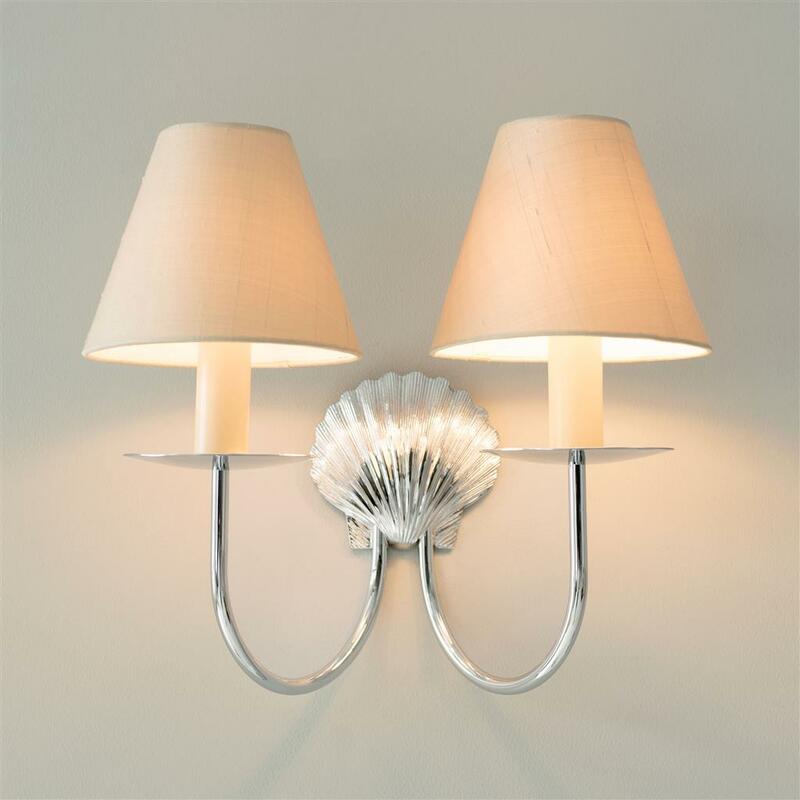 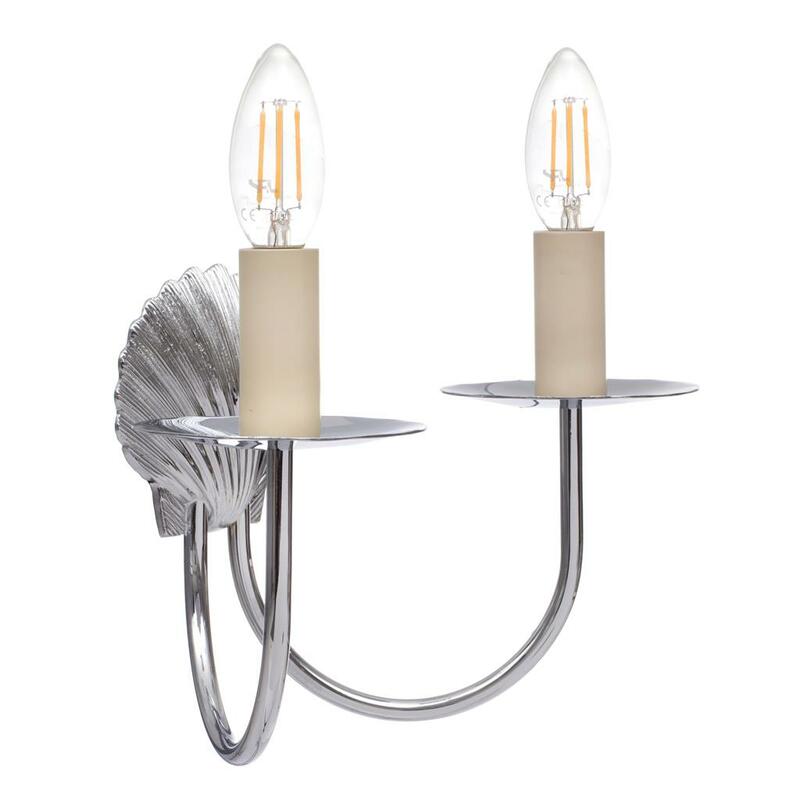 A pretty wall light which is cast in solid brass, it is then plated in nickel and flash coated in chrome to create a hardwearing, reflective silver finish. 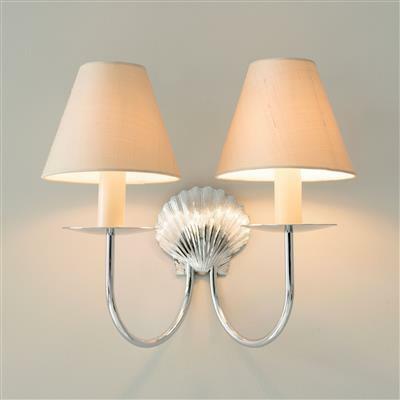 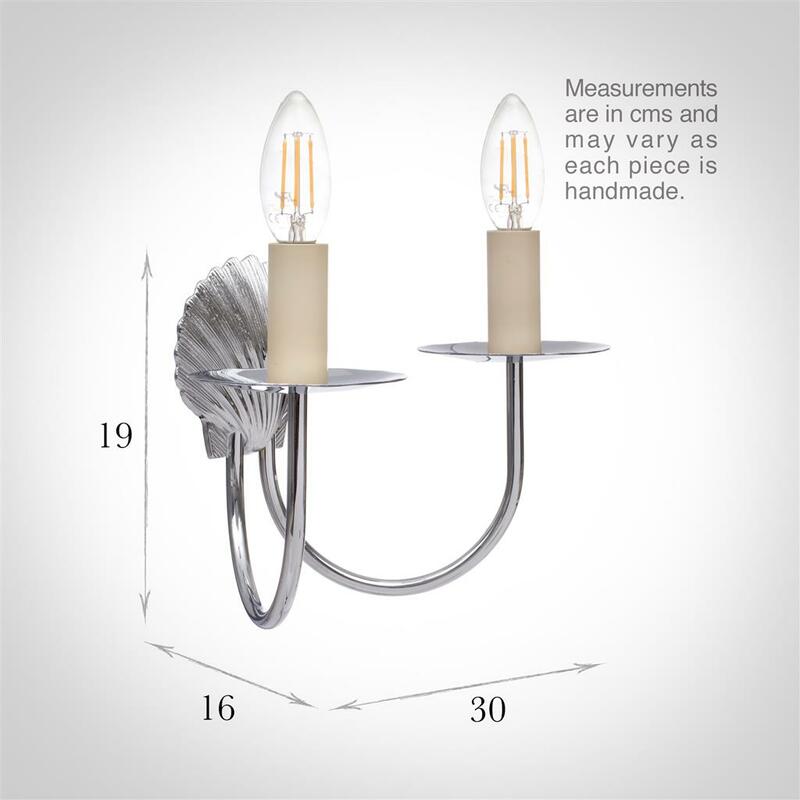 it is also available as a single wall light. 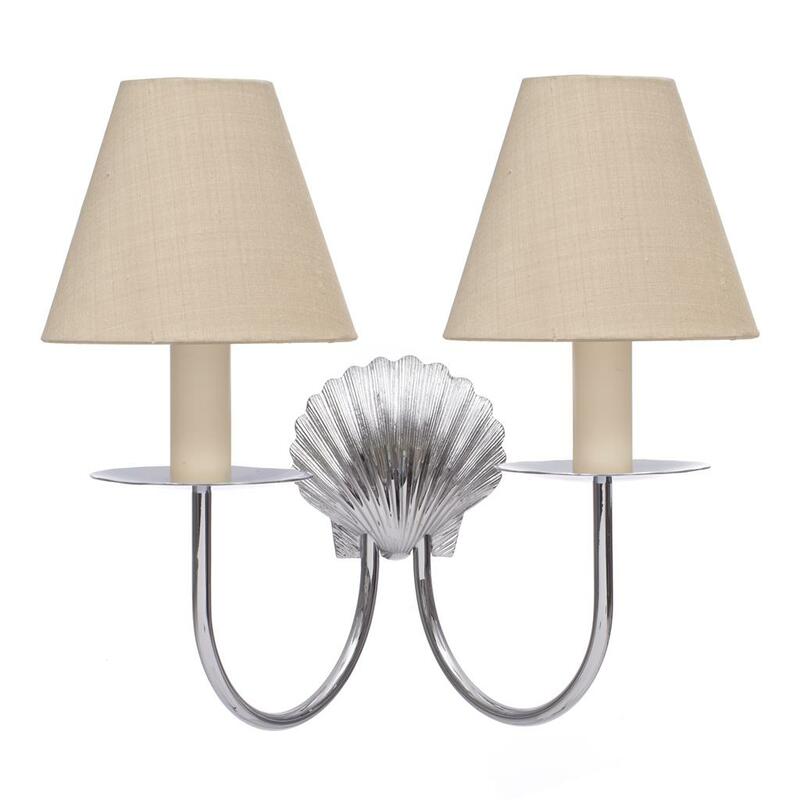 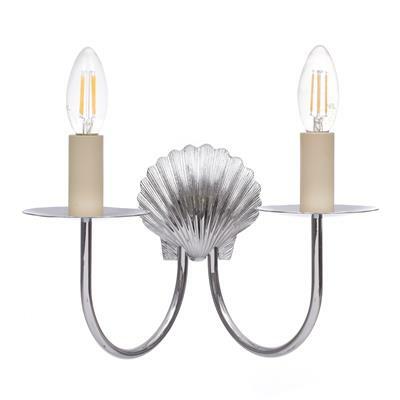 Featuring a beautiful brass shell, it lends itself to a wonderful beach or coastal theme, in any room. 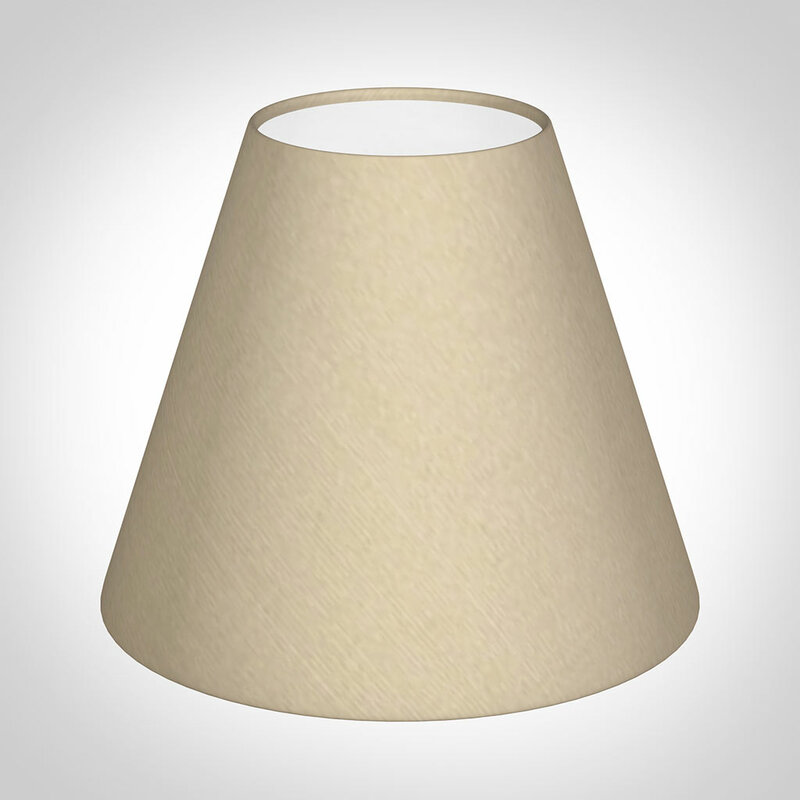 It's ideal for conservatories or children's bedrooms.